Nick Young and his rapper/model girlfriend Iggy Azalea are featured wearing the latest stuff from Forever 21's, upcoming collection. 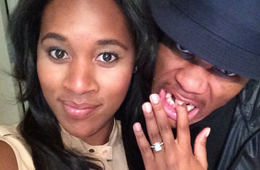 Oklahoma City Thunder guard and UCLA alumni Russell Westbrook just popped the question to his girlfriend and former Bruins basketball player Nina Earl. 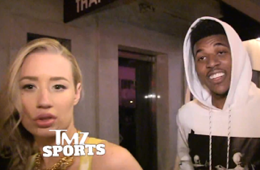 Things between Nick Young and his pop star girlfriend Iggy Azalea seem to be going pretty well. 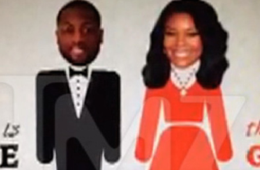 Check out the "Save the Date" video Dwyane Wade and Gabrielle Union made for their secret location August 30th wedding. In response to Charles Barkley always cracking about the "big ole' women" in San Antonio. Tim Duncan's girlfriend, Vanessa Macias, wore a "Barkley Don't know" t-shirt to Game 1. 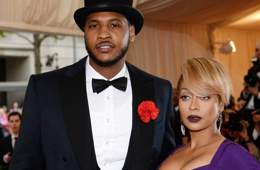 Carmelo Anthony and his wife Lala attended the Met Gala looking like wealthy industrialist and if Jay Gatsby were a real person, they would be heading to his afterparty. Probably. 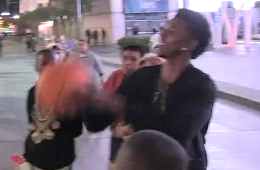 Nick Young aka Swaggy P had himself a great time on and off the court wearing the purple & gold, and that fun continued after the last game of the season with girlfriend Iggy Azalea which was caught by TMZ. More of "the NBA's Coolest, Freakiest Young Couple" from their behind the scenes photoshoot with GQ magazine. 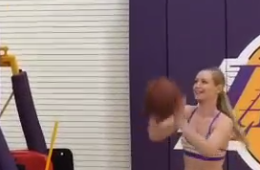 Nick Young took his girlfriend, Aussie rapper Iggy Azalea to a Carnival and guaranteed he could win her a stuffed animal playing the carny basketball game. 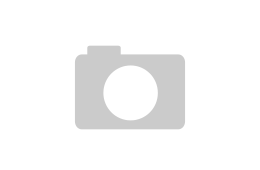 Nick Young aka Swaggy P and his girlfriend rapper Iggy Azalea are in the March issue of GQ Magazine proclaiming them as the "coolest, freakiest young couple in the NBA." 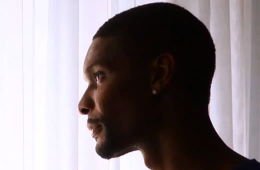 Chris Bosh sits down with NBA Inside Stuff to discuss his Miami Heat family and his growing one at home. 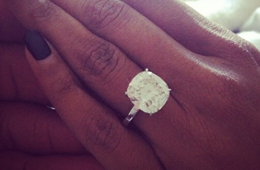 Looks like Dwyane Wade got his girlfriend Gabrielle Union an early Christmas gift. 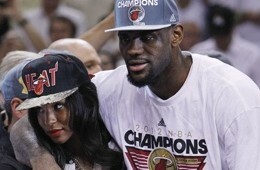 The King now has an official Queen.